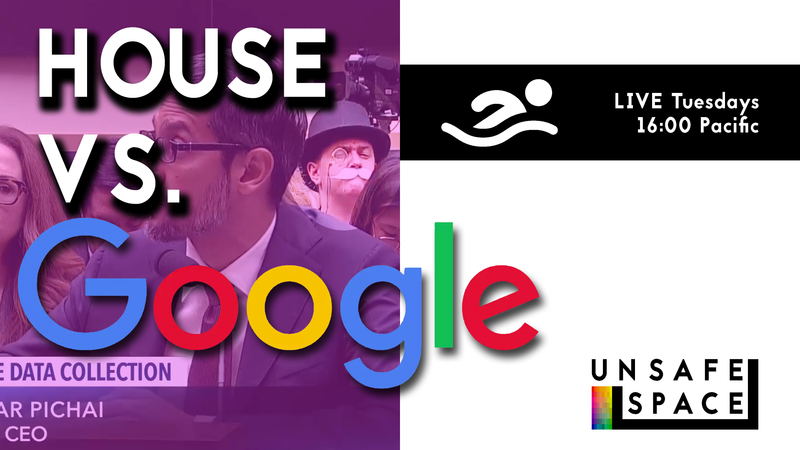 Today on Upstream Carter discusses Google CEO Sundar Pichai’s testimony before the US House Judiciary Committee. Please join Carter for Upstream, and feel free to Tweet ideas/suggestions/comments to him at @unsafeshow, or leave them on Youtube. Every Tuesday at 16:00 Pacific, we’ll examine the cultural and philosophical roots behind popular narratives spun on Twitter, cable news, or elsewhere, and examine the ideas that hide upstream from them. What would happen if we took those ideas seriously and applied them to everyone universally?